Project Engineer for the design of approximately 4,400 linear feet of ADA compliant sidewalks for the City of Farmington. 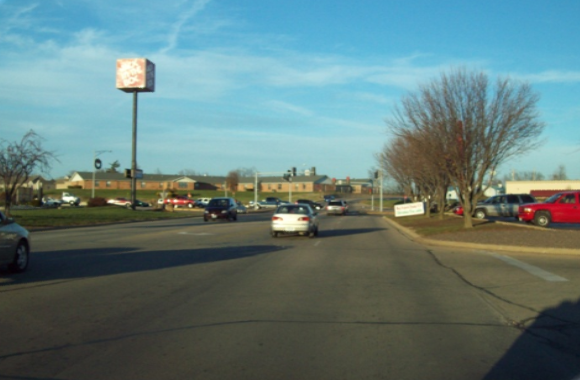 The project was funded through MoDOT with the use of ARRA stimulus funding. This project was a fast track project due to the time constraints affiliated with the ARRA funding. Oversaw the surveying and design on the project, as well as facilitated appropriate environmental and historical permits required with Federal Funding. Street improvement project for 3,300 linear foot, 28 foot wide, concrete curb and gutter street. Project included removal and replacement including widening and right of way acquisition. Street was designed intentionally high to reduce rock excavation expense. This project involved 30”, 36” and 48” HDPE storm sewers, coordination for existing driveways, yard drainage and interior soil remediation. We provided full contract documents, design plans, and technical specifications. 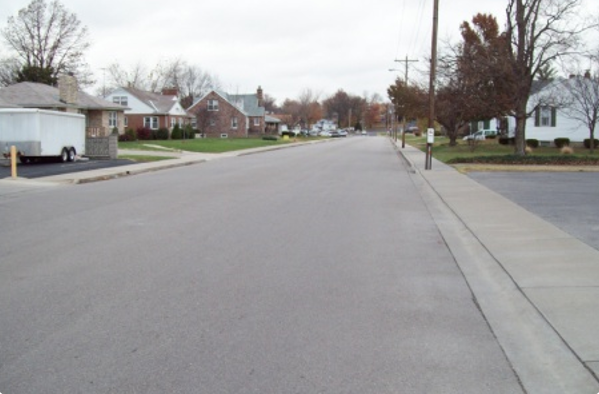 Project to construct improvements for a 5,500 linear foot, 32 foot wide, concrete curb and gutter street. Project was new construction. Street was designed as major thoroughfare. This project included a 5’ x 14’ box culvert, and involved coordination of adjacent properties, yard drainage, and inferior soil remediation. We provided full contract documents, design plans, and technical specifications. Design of 3-span, 370-foot long bridge which replaced an existing truss. 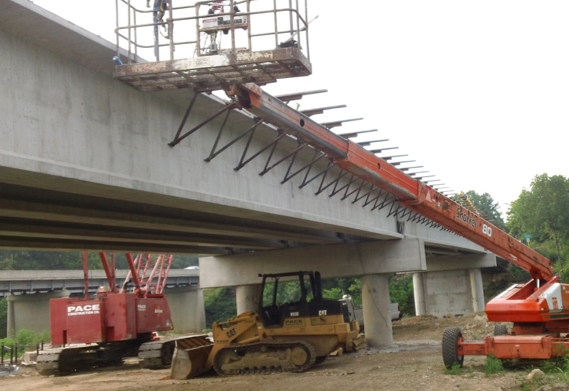 Superstructure consists of precast concrete bulb-tee girders and intermediate bents founded on drilled shafts. Project features the use of a semi-integral abutment on a rock bluff with steel h-piles set and concreted into drilled shafts in rock. Taylor Engineering teamed with Horner & Shifrin Engineers on this project. Taylor Engineering was the Engineer for the Parkway Drive and the Separate Main Street and Coffman Street Intersection project. 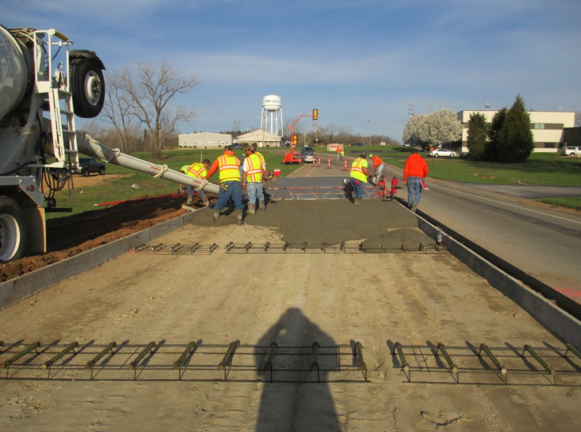 The project consisted of the removal and replacement of the pavement on a 990' +/- section of pavement on Parkway Drive and 230' +/- section of Main Street at Coffman Street. The Main Street portion of the project included updating the adjacent pedestrian curb ramp to current ADA standards The project was funded through the MoDOT STP program and was completed in June of 2010. Taylor Engineering was the Engineer for the Park Hills Pedestrian Bridge project, which was funded through MoDOT STP Funds. 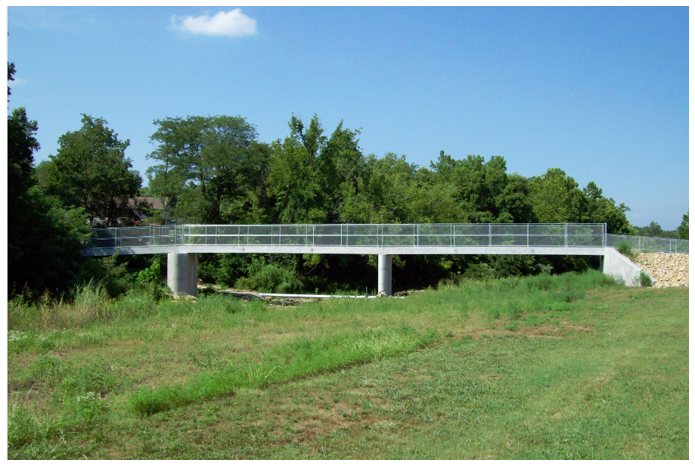 The project was a three span pre-fabricated pedestrian bridge over Flat River. It included the design of two abutments, two piers and an ADA compliant ramp at one end of the bridge. The project was designed and constructed to MoDOT standard specifications. Taylor Engineering oversaw the construction, materials testing and pay requests from the contractor to ensure it was compliant with MoDOT requirements. Street Improvement Project for construction of a 2,000 linear foot Historic Trail. 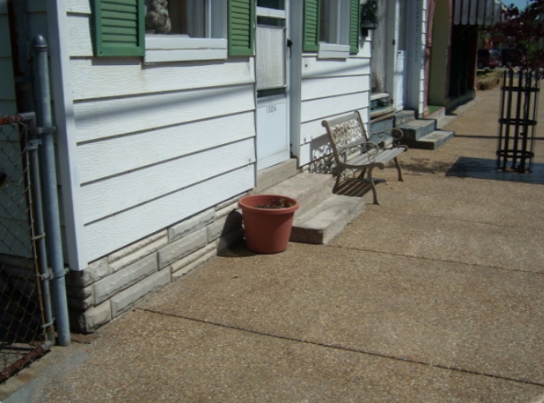 Project included removal and replacement in downtown Ste. Genevieve, including sidewalks, storm sewer, and water and sewer relocation. Street was designed in a very congested area under a tight timeframe. This project stayed very close to budget even with the tight timeframe. Rozier Street Improvements project involved the removal and replacement of the existing street from State Route 32 (Center Drive) to U.S. Highway 61. 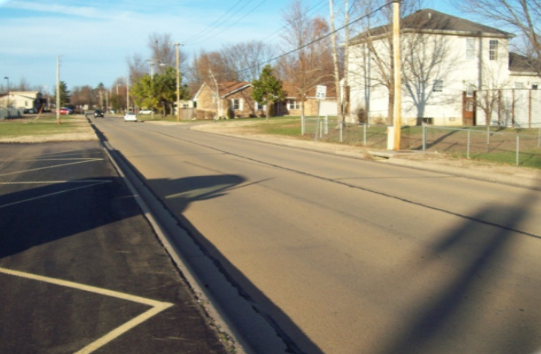 Approximately 960 linear feet of roadway and curbing was removed and replaced including the removal and replacement of sidewalk along the entire length of the project, 500 linear feet of storm sewer and two crosswalks. Project to construct a new parking lot to serve the downtown businesses of the city of Marquand. 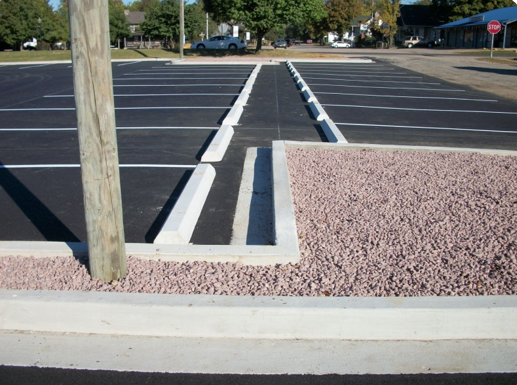 The project was new construction on an existing gravel lot that included 25,300 square feet of parking area, 100 feet of 24” storm sewer, 1,000 feet of curb and gutter, and multiple decorative planting areas. We provided the preliminary engineering report to assist in applying for and receiving a Rural Business Enterprise Grant from USDA Rural Development. We then provided full design and construction management for the project.